A new home siding installation is the perfect way to increase the efficiency, value and curb appeal of your home. Window World TX is proud to offer several energy-efficient home siding options for homeowners looking for smart home updates. Our vinyl siding and full masonry Brickstone siding can be customized to complement each and every home! Trying to beat the summer heat with San Antonio home siding? The insulating properties of vinyl siding and full masonry siding slow heat gain, stop energy loss and can even protect your home from fire and extreme weather conditions. Window World TX offers the best in San Antonio siding installation services. Visit your local Window World TX to view multiple home siding options and how you can customize them! Want to protect your home from coastal winds and storms? 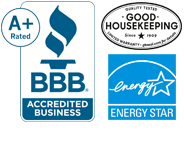 In addition to our incredible line of hurricane impact windows and storm doors, Window World TX provides Corpus Christi siding installation services to protect your home. Our vinyl siding is extremely durable and Brickstone has been hurricane tested!